a sole proprietorship for many years by Charles J. Winter. 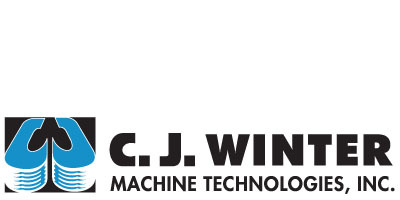 Our reputation for quality screw machine tooling grew as CJWinter focused on the manufacture of tool holders and attachments for Davenport screw machines in the 1950’s. The company was acquired by Mr. Robert J. Brinkman, present Chief Executive Officer, in 1969. Mr. Brinkman began development of the current line of thread rolling attachments shortly after purchasing the company. The company also began manufac-turing thread roll dies for its own thread rolling attachments and for equipment manufactured by others. The Winter line of thread rolling attach-ments has become the standard of excellence for thread rolling attachments for screw machines in the United States. The company has also developed process improvements which have extended the life of its thread rolling dies and improved the precision of these metal forming tools. Our reputation for quality screw machine tooling has also been bolstered through the years as we continue to improve the manufacture of tool holders and attach-ments for Davenport screw machines, which is something we have been doing for over 40 years. The company’s products have become market leaders throughout the United States. They are also sold in eastern and western Europe, Africa, Middle East, Asia, the Pacific Rim, and North and South America. The company has built its reputation by offering the highest level of customer service, expert technical assistance, custom design and fast delivery anywhere in the world.